Today I am bringing you another guest post by a lovely lady who lives in the same town as me! In fact we have already met up once and it was really great fun (I totally can't wait to again!). Anyway I am going to leave the rest to the lovely Alyssia from Rose Tint My Nails! Hello all! It’s Alyssia here from Rose Tint My Nails. I am super excited to be doing a post for my lovely friend Kerrie here. We actually meet on a UK Nail Bloggers group on FB and realised that we both lived fairly close to each other, we’ve even met up once! 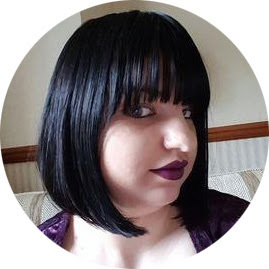 It’s really lovely to have such a great and supportive online friend so I was really happy when she asked me to do a guest post for her! This polish looks nothing like it does in the bottle! 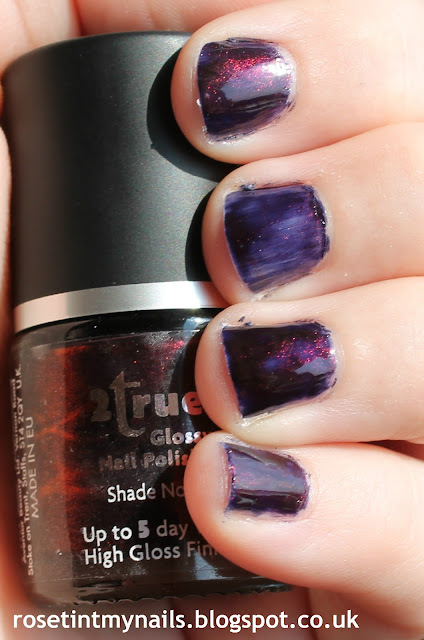 I picked it up because it looked like a black polish with red micro glitters in it, but as you can see in the pictures above it comes out more like a purple. You can kind of see the flecks of orange/red in the first picture which I took in direct sunlight but the other picture almost looks like a completely different polish to me. I even tried to get a picture of the bottle that shows the colour I saw when I bought the polish. The picture above though makes it look like a completely different polish again! It makes it seem as though it will come out with lots of orange glitters in it. Looking at it now it just looks purple. 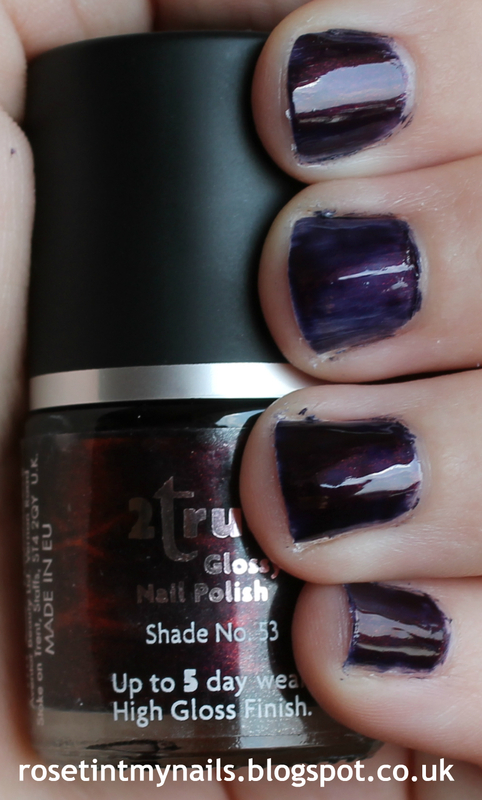 I don’t really know what I expected from this polish but it didn’t deliver the colour that I wanted when I bought it to be honest, but then saying that 2True is a very cheap brand and for the amount I paid for the polish I can’t really complain too much. 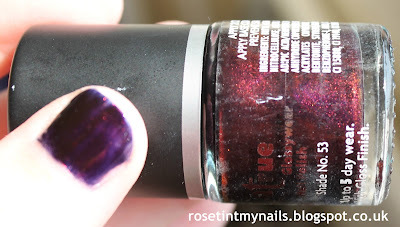 I hope you enjoyed my little post despite me bringing you a very confused little polish! Thanks again to Kerrie for having me, it’s been a pleasure!